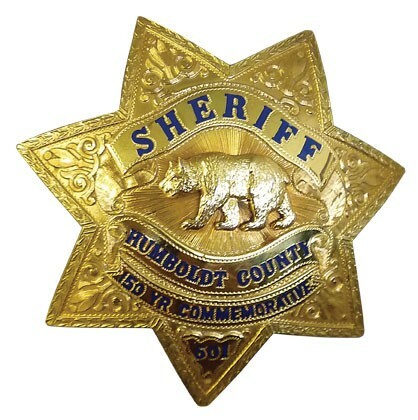 A deputy with the Humboldt County Sheriff's Office was fired late last month after he allegedly kicked a sleeping inmate at the county jail. The officer, named Sean O'Brien, also allegedly directed racial slurs at inmates on numerous occasions, according to a June 24 inter-office memo. The memo, which was sent by Sheriff Mike Downey, informed O'Brien that he was being terminated, effective June 30. A photocopy of the memo was mailed to the Journal anonymously. Downey explained in the memo that O'Brien was being terminated after an internal affairs investigation into an inmate allegation of "assault under color of authority." [Utah] Boyd [an inmate] reported that when you entered the N219 unit [cell] you walked over to Morgan Wright's bunk and due to him not being awake yet you kicked him hard enough to knock him out of his bunk. Boyd also reported that you have made statements to inmates, such as, "All right, niggers, let's get to work," while working at the wood lot. Downey said this afternoon that he could not comment on the matter because it's a personnel issue. A Facebook profile for Sean O'Brien suggests that he's a local, having attended Eureka High School and College of the Redwoods. The profile picture shows a poker hand, a U.S. Marshal's badge and a revolver with a smoking barrel. On June 24, the day the memo was sent, a friend posted on O'Brien's Facebook wall, asking, "Dude is everything ok," to which O'Brien responded, "Not really don't know."